Dental anxiety is an unfortunately common problem that causes millions of Americans to prolong much needed dental treatment each year. For some, simply the thought of a dental appointment can put them on edge. That’s why at Dream Dental, we offer sedation dentistry to keep our patients calm and comfortable while receiving treatment. Whether you have mild, moderate, or severe dental fear, we have 2 different sedation options to provide you with the relaxation that works best for you. Keep reading to learn more about sedation dentistry and how it can help you. Sedation dentistry uses various medications to keep patients relaxed during their dental visit. With this type of dentistry, we utilize 2 different services that can keep you comfortable and anxiety-free during your appointment. Whether you need a routine checkup or a more serious procedure, Dr. Haren Patel will understand your dental anxiety to recommend the best form of sedation for you. 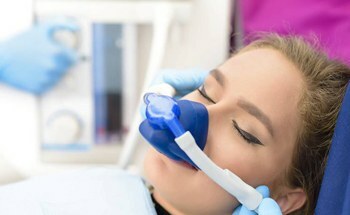 At Dream Dental, we use oral nitrous oxide and oral conscious sedation to give you a solution that fits for your situation. For more mild cases of dental anxiety, nitrous oxide sedation (also called laughing gas) can be administered to you through a nasal mask. This form of sedation gives you a calmer and overall happier feeling in our dental chair. The other type of sedation that Dr. Patel uses is oral conscious. With this method, you’ll be given a pill to take about an hour before coming into our office. 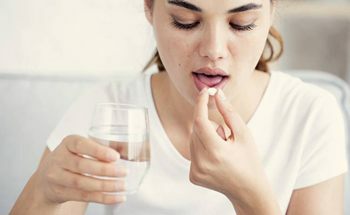 This medication will make you feel drowsy, happy, comfortable, and relaxed. This option is better for those with higher levels of dental fear, and we like using it because it’s safe, effective, and convenient. You may fall asleep during treatment, but you can be woken up with a gentle touch. 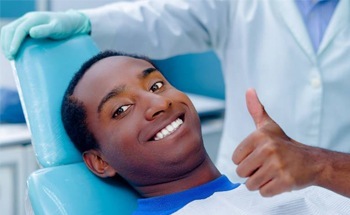 After your treatment is done, you won’t really have an idea of what happened, but you will have gotten the necessary dental treatment that you need. The primary benefit of sedation dentistry is that it allows patients to stop prolonging treatment. Unlike other medical conditions that get better with time, dental issues will only grow worse if left untreated. That means more extensive and expensive procedures in the future. Sedation dentistry allows you to attend routine checkups to prevent these issues from occurring in the first place, but it also gives those with an existing issue the opportunity to make positive oral health changes. An additional benefit is that oral conscious and nitrous oxide sedation can keep you relaxed and calm without the negative side effects that comes with being put fully under with anesthesia. Dr. Patel will also be able to work through your mouth faster when you’re sedated because it keeps you from moving around as much as you normally would, and it can even temporarily paralyze your gag reflex to make the procedure more comfortable.